Keep an eye on this section for new products in our range but just because its not here it doesn't mean its not available. 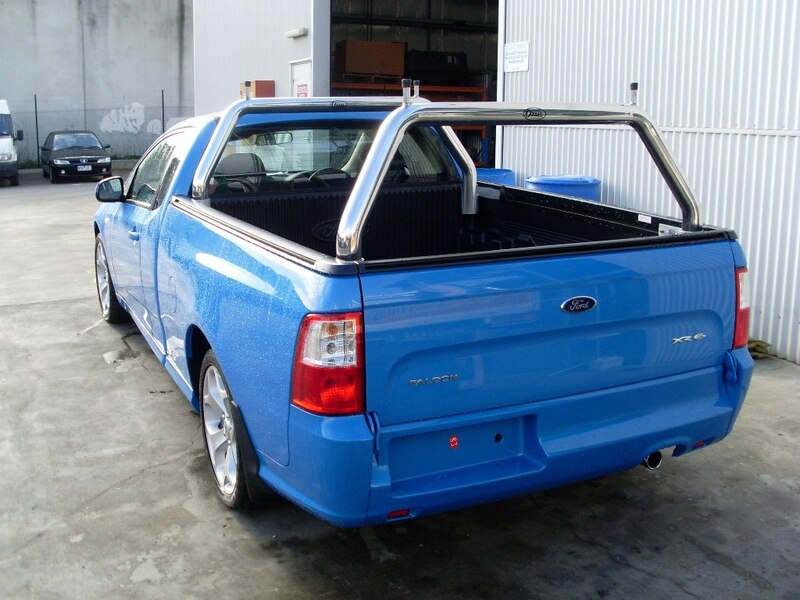 We have a full range of FG Falcon Ute Ladder Racks, Sports Bars, Sports Bar Combo's and Wide Rax available. Once again, the emphasis has been on manufacturing a superior product that is simple to install and has all the characteristics necessary for such a smart looking vehicle. FG Falcon Ute Ladder Racks are available now and are the easiest Ladder Bars to install. Watch this space for more pics or if you can't wait, just send us an email and we will forward relevant photos. We have ladder racks, Wide Rax, Full alloy roof racks and sports bars available to suit the VE Commodore Ute range. A lot of effort has been applied to the VE Commodore ladder racks and we are quite pleased with the finished results. Refinement has been made to the fitting kits to make these the one of the easiest ladder racks ever to install. We have also improved several of the component parts utilizing modern manufacturing methods such as laser cutting and new and improved polishing techniques to make these our best ladder racks yet! !